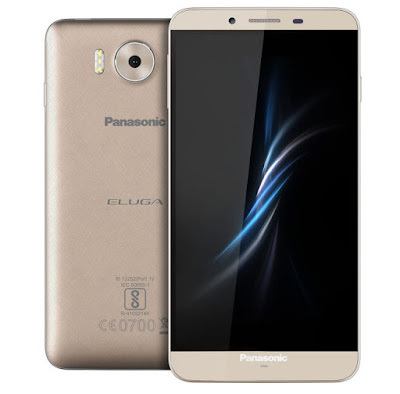 Panasonic Eluga Note Specifications, Features and Price. On July 4, 2016, Panasonic India announced their latest phablet to the smartphone industry, The New Eluga Note. Media enthusiasts across the country were invited to witness one of their grandest launch events. That seemed to be one of their largest event that I've seen so far, So initially there was a lot of hype building up with the hashtag - #KeepANote. Has that hashtag lived up to its name in presenting a killer device falling under the term Phablet? Let's find out about that in our first impressions about the new Eluga Note priced at Rs.13,290. 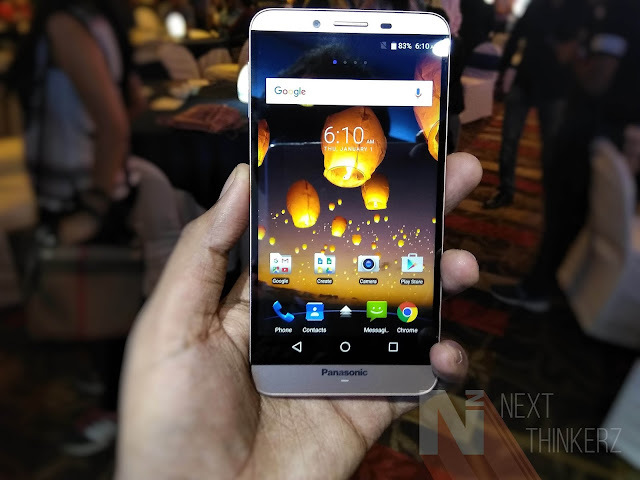 It comes with a 1.3Ghz Mediatek Helio X10 Octacore processor backed by 3GB Ram & Mali-T720 GPU. It has a 5.5 inch 1080p HD IPS LTPS display which gives it a pixel density of 403 PPI. It has 32GB of onboard internal storage which can be expanded up to 32GB via a MicroSD memory card. It has 16MP Rear camera having a f/1.9 aperture, 6P lens alongside the Triple Tone LED flash. Whereas the front camera has a 5MP sensor. It houses a 3000 mAh Li-Polymer battery. Whereas it supports Bluetooth 4.0, Wi-Fi b/g/n, A-GPS, FM Radio, etc. It also houses an Infrared sensor primary handy to control your electronic equipment. It also has an Ambient light sensor, Accelerometer & Proximity sensor. It comes with FitHome UI built on top of Android Marshmallow 6.0. This FitHome UI brings following changes - Screen Gestures, Mobile antitheft features, Smart App manager, etc. It has support for VoLTE technology useful in placing and receiving high-quality calls. The Eluga Note weighs about 142gm & it's product dimensions are - 146 x 74.5 x 8.15 mm to be precise. It comes in a single color, which is Champagne Gold. First glance at Eluga Note. So the phone is decent enough to fall in the category of phablet form factor. Considering the price it may not be the best device, but it does have the potential to stand out from the rest. The Eluga Note has an LTPS(Low-Temperature Polycrystalline Silicon) panel, which helps in saving the battery immensely. Given the fact that it has a large display you're constantly going to consume media on it, So LTPS panel would play a significant role here. Then another thing that catches my eye apart from the f/1.9 aperture on the 16MP rear sensor is that Triple Tone LED flash. This would help in producing true to life photos; again this can't be conveyed in-depth as I don't have the unit yet. 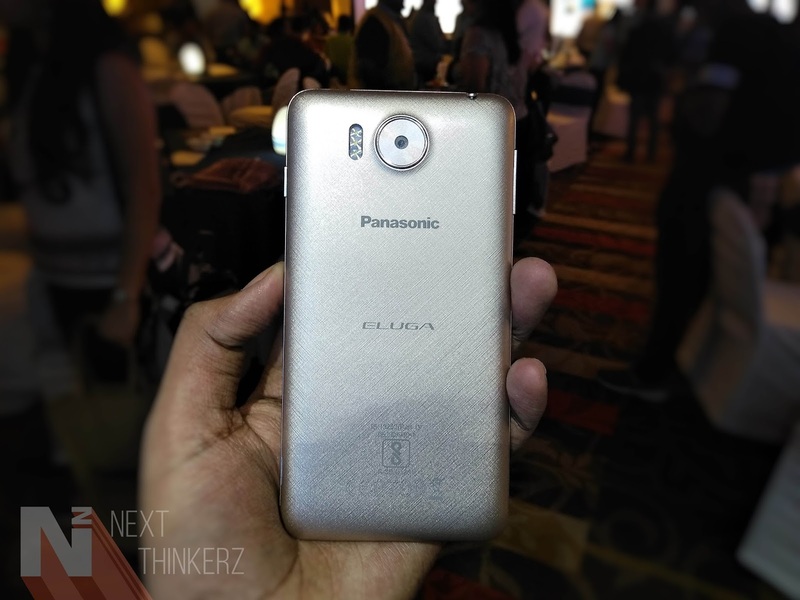 Though Panasonic claims that the 6P lens on the Eluga note, would be helpful for snapping better pictures during low light conditions. Let's see how it performs in day to day usage, If I receive the review unit. Then comes the HomeFit UI build on top of Android 6.0, at first glance, it might seem intuitive considering usability, but visually it may not be appealing to any user's mind. The theme inbuilt looks ancient age, and there's no doubt that users would throw any 3rd Party launcher on it after the initial boot itself. Another thing where Eluga Note shines in specifications department is the VoLTE support, which is going to be helpful in our country. 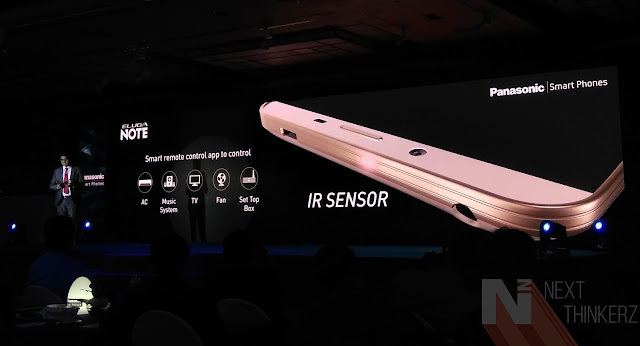 Panasonic has done a decent job implementing an IR blaster in this phone, which comes in handy on many occasions for let's say turning up/down the volume of your TV, Controlling your AC, etc. During the event, Mr. Pankaj Rana, Business Head - Mobile Division, Panasonic India commented, "The New Eluga Note is equipped with full HD display, faster processing power, & the superior camera empowers the consumers to perform all their task at ease thereby making their life smarter & efficient. We are confident with Eluga Note, will enhance our market share as an emerging smartphones brand & further strengthen our position in the price band of Rs. 10,000-15,000". So let's see how this device builds up its own empire in the league of similar smartphones offering Fingerprint sensor even at a much affordable pricing. But all these competitor smartphones are available only on flash sales, which might be a hassle for someone trying to buy a decent smartphone in an urgent situation. 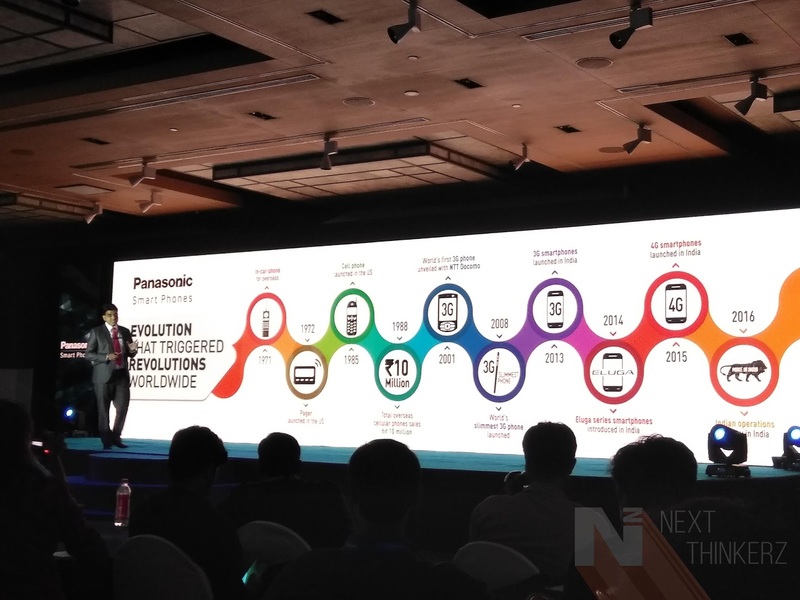 So Panasonic tackles this point offering Eluga Note exclusively for offline retail stores at the same price quoted above. Which makes it interesting since you cannot buy this device online. Just head over to any nearby retail store and you're ready to go. So that's about it, I'll cover this device more in depth as soon as I get my hands on it. So be sure that you follow us on Social media to be the first to know more about the Eluga Note review. Also See: Asus Zenfone Max (Snapdragon 615) review!